« How much is scrap metal worth? 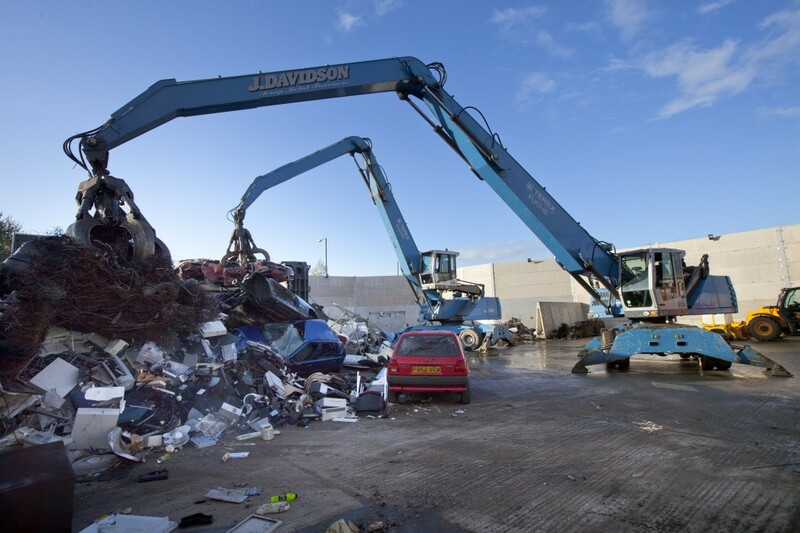 We are increasingly told of how scrap metal merchants are committed to the environment, by recovering a higher percentage of metals than ever before for use in recycling, rather than simply sending them to landfill. But the details of scrap metal processing methods often remain undiscussed, leaving scrap metal merchants’ customers in the dark as to what actually happens to their metal, and why it is good for the environment. Here are some of the main types of metals that undergo recycling, and the benefits of this, compared with simply creating new metal from raw materials. Aluminium recycling is probably the all-star process for scrap metal processing, thanks to the massive energy savings that can be achieved. Figures from the European Aluminium Association and the Organisation of European Aluminium Refiners and Remelters reveal that recycled aluminium requires as much as 95% less energy than that produced from fresh raw materials. During the recycling process itself, modern technology is used, capturing any volatile organic compounds, harmful gases and dust that might be released from the processed material. As aluminium is often enhanced by alloying it with other metals, recycling also conserves around a quarter of a million tonnes of copper, zinc, magnesium, silicon, manganese and iron each year. Copper recycling has several benefits in terms of energy efficiency, thanks to copper’s unique status as the best electrical and thermal conductor outside of precious metals. The Copper Alliance notes that this performance is not hampered by recycling; recycled copper retains the full 100% of its thermal and electrical capabilities. Meanwhile, the Copper Development Association reports that where contamination has occurred – often deliberately, due to tinning or soldering – it can be possible to use this as an advantage in recycling. Rather than trying to purify the copper, it may be melted down into ingots, complete with the impurities, and used as a material where their presence is preferable, such as in the production of bronze or gunmetal, where tin and lead are often desired additions to pure copper. Steel recycling is a huge area of potential – the Health & Safety Executive reports that 30,000 tonnes of recyclable metal is contained in the aerosol cans disposed of each year in the UK alone, of which around two thirds is tin-plated steel, and one third aluminium. The advice to scrap metal merchants, and to households, is that it is best not to separate aerosols from other waste metal, providing that they are empty and, therefore, are no longer under high pressure. Cans should not be crushed, squashed or pierced before collection – instead, they are processed at a Material Recycling Facility. Here, they are flattened, shredded or baled, with suitable safety precautions in place to ensure no accidents occur. This is a further example of how scrap metal merchants are adopting a holistic approach to scrap metal processing, ensuring that the positive advantages are not undermined by the potential risks involved, and yielding the maximum possible benefit from the procedure. This article was posted in Scrap Metal, Scrap Metal Processing. Bookmark the permalink. Follow comments with the RSS feed for this post.Both comments and trackbacks are closed.